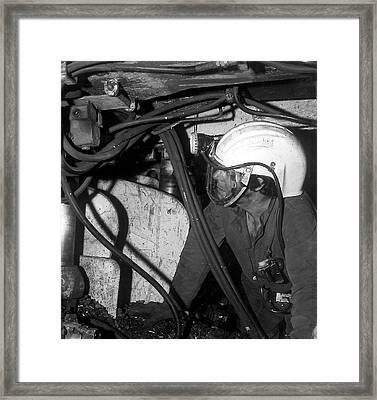 Airstream Helmet Coal Mine Tests is a photograph by Crown Copyright/health & Safety Laboratory Science Photo Library which was uploaded on July 24th, 2016. Airstream helmet coal mine tests. 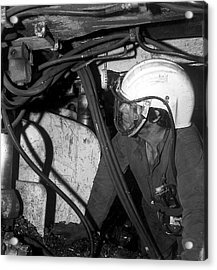 This was the prototype dust helmet, designed to protect miners from the effects of coal dust. The Airstream helmet was invented in 1972. It was developed by the Safety in Mines Research Establishment (SMRE), one of the forerunners of what is today the UK's Health and Safety Laboratory (HSL). 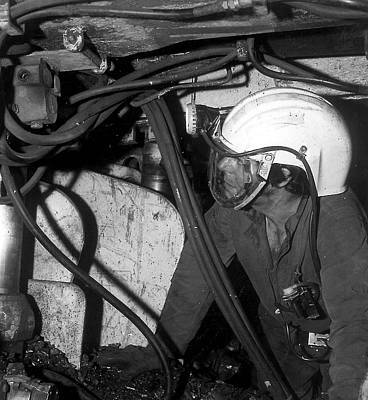 Here, the helmet is being tested in a coal mine. There are no comments for Airstream Helmet Coal Mine Tests. Click here to post the first comment.